Katie and her dog, Ty, in the Chugach Mountains near Anchorage, AK. Katie Paglini was born and raised in Chicago, Illinois. She was first introduced to the water as a baby, and swimming has been a part of her life ever since. At the age of 5 she began swimming on a local club team. She emerged as one of Illinois’ top swimmers in both Backstroke and IM, and by age 16 she advanced to Nationals and the U.S. Open. She attended the U.S. Olympic Trials in 2000 for both the 100 and 200 back. Some of her top finishes include 7th at Nationals, 5th at the U. S. Open, and 1st at High School State two years in a row. She also broke Illinois state records in 100 and 200 Back, and many of the records she set for her high school team still stand today. Katie attended Northwestern University (NCAA Division 1) on a full athletic scholarship from 2002-2006, where she was the key team member for both Backstroke and IM, and received an award for All Big Ten Academic Honors. She graduated with a B.S. in Communication Studies and a concentration in Psychology. Katie stretches at Olympic Trials in 2000. After college, she continued her involvement with swimming, assistant coaching her old high school team and teaching swim lessons. In 2009 she was the head swim coach for Lathrop High School in Fairbanks, Alaska. There she led the Lathrop boy’s team to win Regionals and place third overall at State, while helping a state champion defend his title. Katie still swims for fun and is part of a masters team in Anchorage, Alaska. Maria and her dog, Darwin, practice agility together. Maria Reeves was born and raised in Fairbanks, Alaska where she was a member of both Midnight Sun Swim Team and Lathrop High School Swimming and Diving. Her senior year, she posted the third fastest high school time in the country in her favorite event, the 50 Free. Her record of 23.33 seconds still stands in Alaska today. Not only was she a high school All American, she was also part of several record setting relays. At State in 1999, she lead off a 200 free relay that was ranked third in the nation before anchoring a record setting 4 x 100 free relay to solidify a LHS girls team title. The perpetual swimmer, she has competed in multiple National Championship meets as well as Washington Open/U.S Open Championships. In 2000, she became the youngest female athlete to represent Alaska at Olympic Swimming Trials. She earned a swimming scholarship to Northwestern University and graduated with degrees in Radio TV Film and English. The highlight of her collegiate career came in 2001 with a 8th place individual finish at Big Tens in the 50 free. Maria gets ready to swim her favorite event, the 50 free. She discovered that coaching was her passion soon after graduating and in November of 2006, she accepted the head coaching position at NPAC. In 2007, her girls’ team at North Pole High School swept the region when they took the title away from Lathrop, who had previously been undefeated for the past 16 years. The following year, her mens team smashed multiple school records and were awarded a sportsmanship award at state. She helped athletes get numerous best times and has coached two athletes to senior sectionals. In 2007 she married her husband (and the army). She continued coaching and wrote her first book, “Alaska Gold: The History of Gold Dredge No. 8” during her husband’s first deployment. The army has since moved the couple out of state but Alaska will always be her home. She has also found a job that she loves more than swimming: being a mom. When she isn’t in the water, Vicky is near the water. Vicky West currently coaches Punahou Aquatics in Hawaii. Previously, Vicky served as head age group and developmental coach with the Palm Springs Piranhas. 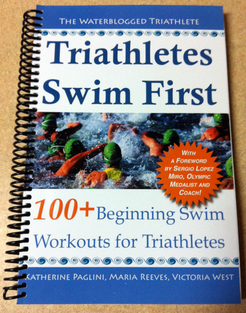 In 2010, she was awarded ASCA Age Group Coach of the Year, an honor chosen by her peers in Southern California Swimming. Prior to Palm Springs, Vicky Coached the 10 and Under Group with Redlands Swim Team taking the number of Junior Olympic Qualifiers from 6 to 20 in one year. Additionally, Vicky coached for both of the local high school teams in Redlands working with several CIF qualifiers. Vicky gets ready to compete in an open water swim in Oahu. Vicky is a former NCAA Division I swimmer. She attended Northwestern University, where she majored in Psychology and competed primarily in distance freestyle and IM. Vicky was Big Ten champion and former school record holder in the 1650 freestyle. She qualified for the Olympic trials in 1996, 2000, and 2004, was a member of the USA National Junior Team and Open Water Teams, and was a 3 time Junior National Champion. Vicky has a masters degree in Kinesiology with a focus in Sport and Event Management from California State University Long Beach. Currently, Vicky enjoys participating in the numerous Open Water Races Oahu has to offer.